East-West Encounters – Franco-Asian cinema and literature saliently delivers a thorough reading of Franco-Asian filmic and literary productions, within the framework of French postcolonial history. The term “Franco-Asian” can be defined as the theoretical equilibrium identified in individuals of the Asian diaspora who currently reside in France. Also noted is the different labels assigned to individuals of varying generations. For example, “the ‘Francophones’” who arrived early and learnt French in Vietnam and “the Vietnamophones; those who fled a communist Vietnam in 1975” (p. 105). Sylvie Blum-Reid investigates French filmmakers’ renditions of the Asian “Other” via films such as Indochine (Régis Wargnier, 1992) and L’Amant (Jean-Jacques Annaud, 1992). The remaining breadth of the book is devoted to the work of Vietnamese and Cambodian artists who are also French citizens. Indeed, the most memorable and penetrating aspect of East-West Encounters is Blum-Reid’s study of the Asian diaspora and the artistic contribution it has made to furthering understanding and appreciation of the history and culture of Vietnam and Cambodia. Thus, Blum-Reid successfully examines the more local representations of Vietnam (via the artistic subjectivity of Franco-Asian artists) yet also takes into account the perspective of the outsider (in this case France) on its Eastern counterpart. She does not claim to cover the entire wealth of French and Franco-Asian illustrations of Indochina. To begin an overview of this territory of artistic practice and cultural analysis, she appropriately narrows the scope of her study to predominantly, “the decade of the 1990s, as it witnessed a re-emergence of fiction and ensuing scholarship about the East” (p. 2). She creates a divergence away from the strongly archetypal image of the Vietnam War film and assiduously examines the relation between Indochina and its former coloniser France. Blum-Reid’s writing style is highly informative and seeks to form bridges of understanding between the various creative renditions, initiating “a dialogue between recent films and other texts, ranging from fiction to documentaries” (p. 3). She resists making indiscriminate statements about the current political and social situation in Vietnam and Cambodia, instead considering the highly complex nature of what was once identified as Indochina. Naturally, there is a broad spectrum of issues that arise when undertaking the study of a country’s postcolonial filmic and literary representation. Initially, Blum-Reid acknowledges the strongly perpetuated image of a country that has witnessed a turbulent and diverse history. Indeed, Vietnam has been the catalyst for a multitude of war based films that have spawned a genre all of their own. However, this is far removed from the body of films encompassed within East-West Encounters. Instead, the book centres upon the complex realm of ideas and notions surrounding the “artistic contributions of Franco-Asian citizens, or people of Vietnamese, Laotian and Cambodian origins living in France” (p. 4). Ultimately, the representation of Vietnam and Cambodia by Franco-Asian filmmakers and writers is inextricably tied to the notion of “identity”. What must be considered are these filmmakers’ and writers’ identities in a contemporary landscape. In addition, how these identities are informed by history, past experiences and cultural heritage. Blum-Reid is primarily concerned with locating the “diasporic identities and discourses in terms of the space they occupy in France” (p. 5). Inevitably, the word that comes to best describe this position is “hybrid”. This term accurately designates the space in which many artists with Vietnamese, Cambodian and Laotian heritage and living in France find themselves. The very notion of “hybridity” infers a loss to some degree. A sense of separation and displacement are common emotions within the diaspora, along with the fear of the erosion of one’s native culture. In the book’s conclusion, Blum-Reid examines the notion of cultural metissage, a “term that applies to the dual situation of modern writers and directors of the diaspora” (p. 134). This is another phrase which implies the double identity and negotiation of two sets of values and experiences that these artists must undergo. Evidently, East-West Encounters offers an in depth analysis of, primarily, Vietnamese and Cambodian filmmakers and writers living in France who face a barrage of cultural and political questions and issues when representing their country of origin. Blum-Reid successfully incorporates several milieu of artistic practice into her book, including fiction film, documentary, semi-autobiographical texts and literary texts. The artistic act of capturing what once was Indochina, undertaken by both French and Franco-Asian artists, entails a multitude of readings and critical insights. These insights foreground a cultural, social and political realm. Paradoxically, these critical readings and varying interpretations of postcolonial texts also invite their own critical investigation and theory. Blum-Reid is concerned with the cultural and social contexts underpinning the representation of the former Indochina. She traverses much ground in East-West Encounters, taking her reader on a veritable journey of various Franco-Asian film and literary productions. After examining the 1990s epics Indochine and L’Amant along with the earlier Emmanuelle (Just Jaeckin, 1974), she contrasts them with two fiction films that cast a more critical eye on France’s relations with its colonies – Chocolat (Claire Denis, 1988) and Outremer (Overseas, Brigitte Roüan, 1990), both semi-autobiographical films. She then focuses on the artistic contributions of diasporic artists including Lâm Lê and Tran Anh Hung. Blum-Reid offers a detailed analysis of some of their films including Rencontre des nuages et du dragon (Lê, 1979), Poussière d’empire (Lê, 1983), as well as Hung’s L’Odeur de la papaya verte (The Scent of Green Papaya, 1993), Cyclo (1995) and À la verticale de l’été (The Vertical Ray of the Sun, 2000). She devotes the next chapter to documentary films made about Vietnam, including American filmmaker Robert Kramer’s documentaries (made in France) and Dzu le lieu’s Les Hommes des trois Ky (The Men of the three Ky, 1996) in which the director navigates a new history of Vietnamese men and their forced migration to France between 1939 and 1950. Blum-Reid is particularly interested in films which challenge the often familiar ways in which Vietnam is represented and which present “voices of resistance” (p. 91). Also crucial is the discussion of Vietnamese dissident writer Duong Thu Huong and the strong influence of her work on filmmakers and writers alike. Huong is a nonconformist whose ideas and vision does not “correspond with the official ideology as she develops the story of a people through an individual ego-centered perspective”… “and denounces the corruption of a system and the scars left by the war” (p. 103). Notably, a prominent figure within East-West is Cambodian documentary filmmaker Rithy Panh who is the focus of Chapter Six, entitled “Khmer Memories”. Like Lê and Hung, Panh must negotiate his own “in between-ness” as a result of living in France as an exile. Also included is an interview with Panh conducted in a film editing office in Paris, in 1997. Whilst locating the Franco-Asian voice, what also must be acknowledged are the logical issues of funding and technical support. Whilst it may be a romantic notion to think of some of these film texts as wholly “Asian” in their execution, the reality is vastly different. Blum-Reid raises important issues and recognises the complexity involved in bringing cinematic productions to the screen. Issues such as language, the inherent meanings of words and phrases that cannot be translated, the risk of compromising the “local” context of a picture/scene, the notion of films as cultural products, and the ultimate hope that this will translate for a wider audience (if indeed that is the intended audience) are intricate concerns. Blum-Reid looks toward contemporary France and its ethnic diversity as well as its perspective on ethnic diversity and the exotic “Other”. She raises the always problematic question of whether or not the texts prescribe to a more Asian or more French perspective. Thus, even within the bounds of the so-called Franco-Asian dynamic, there is always room for introspection and debate. The infamous dichotomy of the coloniser versus the colonised is an ever-present issue. It must be acknowledged that the “link forged between the colonised and coloniser does not simply translate into a one-way monolithic relation” (p. 5). Blum-Reid asserts that the East-West exchange has been “commodified” and that France has “conveniently amalgamated” countries such as Vietnam, Japan, Thailand and China into a “homogenous whole” (p. 6). Significantly, the problematic discourses of identity and postcolonialism find resonance in several contemporary milieus. The issues of displacement and loss felt by individuals of the diaspora are universal to a degree and can be located within minority groups and people who feel a sense of dislocation. Reminiscent of several filmmakers such as Clara Law and Ivan Sen, the Franco-Asian dichotomy can be translated to any bi-cultural existence. It seems inevitable that diasporic cinema is linked to history and culture and concerned with the relationship that exists between social practice and cultural existence. A practice which often sees such artistic output classed as “third cinema”, a militant cinema that rejects strict categorisation or definition and is not concerned with representation and subjectification. This cinema exists as an approach and attitude and rejects binaries such as mainstream versus alternative or narrative versus formalism, instead endorsing a hybrid approach. Blum-Reid briefly touches on the notion of “third cinema” in East-West Encounters. This is the precise milieu in which Tran Anh Hung’s cinema is situated. He attempts to create a vocabulary for this moment of experience, as opposed to representation. His films personify a cinema of sensation, one that creates thought outside of the usual representational approaches that underpin Western mentality and philosophy. In addition, the wider implications (political, social and theoretical) of each layer make the discussion of such a film extremely open. As with all of the Franco-Asian artists discussed, Hung’s Vietnamese and French heritage allows him the vantage point of both an insider and an outsider. The intertwining sense of history, the social, the political, and the personal is particularly central to Cyclo. His storytelling via a series of moments and images reveals an ambiguous manner of storytelling, but also a thoroughly conceived and constructed vision. It would appear that several of these filmmakers “exemplify a way of inhabiting one’s culture which is neither myopically nationalist nor evasively cosmopolitan” (1). Thus, their films reach a common ground between the two sentiments. In his article on Third Cinema, Paul Willemen discusses the concept of nationalism and national-cultural identity. Instead of attempting to synthesise the complex issues surrounding “national culture” and national identity for colonised regions, militant intellectuals adopt a “rhetoric of becoming” (2). As Willemen asserts, a country’s pre-colonial and colonial history are central issues in determining a particular territory’s state of “becoming”. For example, the penetration of the West on Vietnamese society is clearly present within Hung’s Cyclo. The West’s implicitness in modern day Vietnam carries a potent message but one that is not preoccupied with placing blame or signifying good versus evil, or the coloniser versus colonised opposition. Rather, it acts as the acknowledgment of part of the country’s history, allowing a process of struggle and the “rhetoric of becoming”. Moreover, the struggle that takes place is between the existing people. As with the majority of diasporic content, an attempt is made to find unity between the past and present. These filmmakers and writers do not necessarily offer solutions to the perhaps impoverished existence of post-war, capitalist societies except to assert that there is a cathartic need for exploration. Importantly, Blum-Reid questions her own position in relation to the texts discussed, noting that she too is a “hybrid” of sorts, being a Western taught French academic living in America. 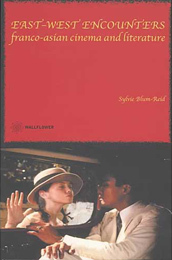 Insisting on distinguishing her position, she informs the reader that the book, whilst adopting a sociological rhetoric, is essentially written from a feminist or “womanist” perspective as it strongly focuses on the role and treatment of women in the chosen film texts. In the concluding chapter, Blum-Reid examines two contemporary French writers Linda Le and Kim Lefevre. Again, she provides a detailed textual analysis of several literary works, including the compelling short story of Le’s Les pieds nus (Bare Feet, 1995). In this story, the author recounts the experience of a six-year-old girl, who in her haste to escape the war in the middle of the night with her family, forgets her shoes. When she regains her shoes, which her father returned to fetch, they are not the correct shoes (one shoe belonging to her sister whilst the other one her own). Thus, the girl will have to wear mismatched shoes her entire life and as the text asserts, “If I had continued to walk bare-foot, I could have found my way back home, but I put on shoes that were not mine. French became my only language” (p. 132). The story offers an apt metaphor for the sentiment felt by many individuals of a diasporic nature. The discussion of filmmaker Lâm Lê is also particularly interesting and immediate, Blum-Reid providing new ground for analysis. Her exploration of Lê’s Poussière d’empire is riveting as she acutely explores the text and the significance of Vietnamese tales and poems such as the legend of the Stone of the Waiting. She also examines Lê’s use of space within the film and notes that the French couple within the film “become the objects of reversed exoticism and stand as ‘displaced’ and ‘exotic’ through the gaze of a Vietnamese director” (p. 50). Ultimately, Blum-Reid successfully tackles the diversity contained within the social, the political, the artistic and the historic. She passionately and assertively takes the reader on a journey, embarking upon a complex realm of notions and sentiments as she engages in a discussion of the highlighted film and literary texts. Her writing style oscillates between a highly intellectual and critical analysis as well as a more emotional and innate discussion of the chosen texts. Evidently, she truly recognizes the number of issues affecting diasporic artists and endeavours to create a dialogue between various texts, whilst also offering a detailed springboard for film scholars and interested readers. Her approach is highly analytical and her forte is critiquing as well as contextualising the information into a historical, social and artistic context. Considering the relatively concise length of East-West Encounters, Blum-Reid incorporates several components and weaves an elegant and timely study of Franco-Asian filmmakers and writers.